A high criminal court in the Central Anatolian province of Kayseri has handed down prison sentences of up to 18 years to the executives of Boydak Holding on terror charges due to their alleged links to the Gülen movement. The Turkish government brands the Gülen movement as a terrorist organization, claiming it to have masterminded a failed coup attempt on July 15, 2016 although the movement strongly denies any involvement. During the 10th hearing of the trial of the Boydak Holding executives at the Kayseri 2nd High Criminal Court on Thursday, the court issued its final verdicts for the defendants, some of whom have been in pre-trial detention for more than 800 days. 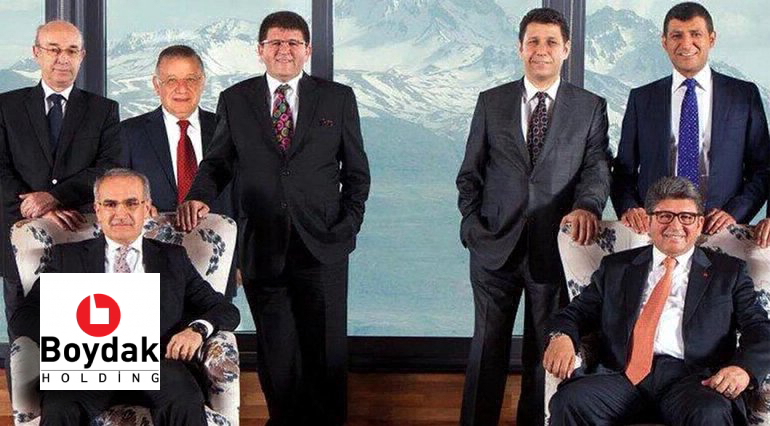 The court also ruled for confiscation of the following seven major defendants’ shares in Boydak Holding: Hacı Boydak, Memduh Boydak, Mustafa Boydak, Bekir Boydak, Şükrü Boydak, Erol Boydak and İlyas Boydak. Boydak Holding is active in a number of sectors, including energy, furniture and banking with 38 subsidiary companies. According to its website, it has an annual turnover of more than TL 6 billion ($2 billion) and employs over 13,000 people. The military coup attempt on July 15, 2016 killed 249 people and wounded more than a thousand others. Although the Gülen movement strongly denies having any role in the putsch, the government accuses it of having orchestrated the abortive coup. Fethullah Gülen, who inspired the movement, called for an international investigation into the coup attempt, but President Recep Tayyip Erdoğan — calling the attempt “a gift from God” — and the government initiated a widespread purge aimed at cleansing sympathizers of the movement from within state institutions, dehumanizing its popular figures and putting them in custody. This article originally appeared in Turkish Minute on July 12.